Welcome to Them Digital. We are a London based company providing small business IT support. Whether you have got a current computer problem and need some urgent assistance, or are looking for an IT support partner you can trust, we can help. We are specialists in both Apple Mac and PC support and offer a range of flexible options that can develop with you as you grow. Based in Islington, EC1 we offer small business IT support for clients in central and greater London. All businesses whether small or large rely heavily on their IT equipment. PCs, Macs, laptops, printers, scanners, studio equipment and so on provide critical business functions, without which work grinds to a halt. Equipment not working properly is expensive and frustrating, which is why it is essential to have adequate IT support in place. Many small businesses choose to outsource their IT support work. This gives them the peace of mind that help is only a phone call away, whenever they need it, without the expense of employing someone full time. Them Digital offer a range of small business support plans to businesses in the capitol, including pay as you go support right through to fully comprehensive hardware and software plans. Our four support plans for businesses include pay as you go support, unlimited remote support, unlimited on site software support and unlimited on site hardware and software. Pay as you go support is ideal for small businesses with a limited number of machines. The benefits of this service are that you only pay for time used and are not locked into to any contract. On the downside, guaranteed call out times are not provided with this service, although we will aim to get you sorted as soon as possible. Unlimited remote support is another highly cost effective option where support is provided by phone and email. This option means there is always someone to call when equipment is not working as it should be. Clients on this service receive priority over non-contract clients for emergency site call outs when required. Our unlimited on site support packages include all necessary site visits for software / software and hardware faults. Clients on these plans benefit from guaranteed call out times of either 4 or 8 hours of a call being placed and as much assistance as they need for one fixed monthly fee. 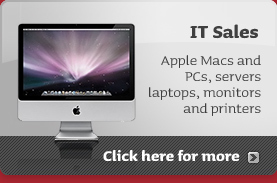 System overhauls are provided for both PCs and Macs as part of our on site support plans. They can also be provided as a one off service for clients who are not on a contract. System overhauls ensure your system is running at its very best. They eliminate software conflicts and memory problems, apply patches to ensure your system is up to date and make sure you are fully protected from the latest threats and viruses. The result – a system that works fast and efficiently, ensuring that you can do the same. With the increasing demands on time, particularly to those working in small businesses, this service is invaluable. Here at Them Digital our friendly engineers can help you source the right equipment to match your business requirements. Although it is easy to buy PCs, Macs and other equipment online from a huge number of web shops, the choice can be overwhelming and without good technical knowledge it can be time consuming to wade through the huge array of products to find the right specification for you. This is where we come in. We resell Apple, HP, Sony, Toshiba, Acer Epson, Canon, Konica Minolta, Brother, Microsoft and many many more and because we are not affiliated to any one manufacturer, we provide independent advice on the range of products available. This means that you end up with the equipment that is perfectly suited to your requirements. We will also install and maintain your equipment, if you would like us to do so. and Hosted Email Antispam / Antivirus Filtering Service. Hosted services benefit small businesses because they reduce costs of buying Servers and Server software which can be costly – especially when a business is in its infancy. Also hosted services eliminate the need for in-house technical support to deal with email or data server crashes. Another benefit is that with hosted email / data, personnel can access what they need from anywhere that has an Internet connection, giving them easy access to what they need, wherever they are. We are there when you need us! Most of the calls we receive are responded to immediately, whether it is a major issue or a minor glitch. Our average support time is typically within thirty minutes. Not bad when you need that urgent assistance! All of our support staff are UK based and you get to speak directly to a trained engineer. We provide a full range of support options to suit all requirements and budgets. We are the ideal partner to smaller businesses who do not have a dedicated IT team in house. Small Business IT Support London – contact us now for more info on the range of services we offer. Based in Islington, EC1 we are the convenient choice for businesses in the central and greater London area.